← Coo-Coo for Coconut Cookies! 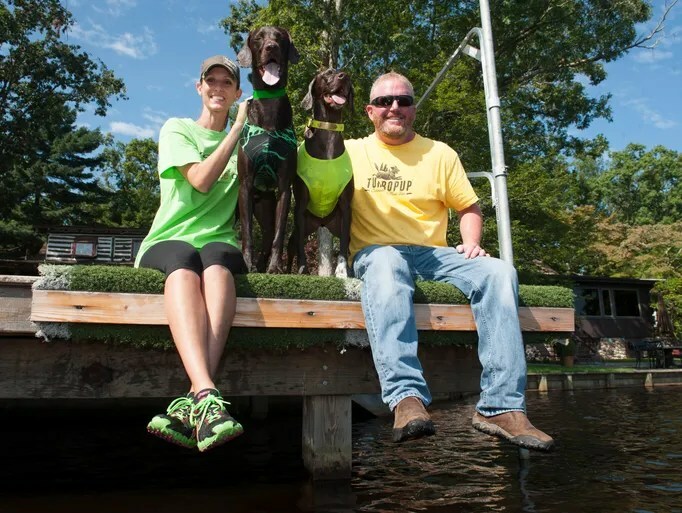 This entry was posted in Cello the Dock Diving Diva, Cello's Celebrations, Hooch the Dock Diving Dude, Hooch's Honors and tagged courier post, dock diving, dockdogs, front page, German Shorthaired Pointer, gsp, hooch, Limoncello, tommy d's limoncello, Windy Spot's Homemade Hooch. Bookmark the permalink. This is such a great story. I mean, it’s not the BFTB Sports but it is darn impressive! ROFL!! Lol! That’s too funny! BFTB is the BEST! I would love to see some video of their training at Pinelands! I will try to get some video for sure, Jen! Great idea!!! !